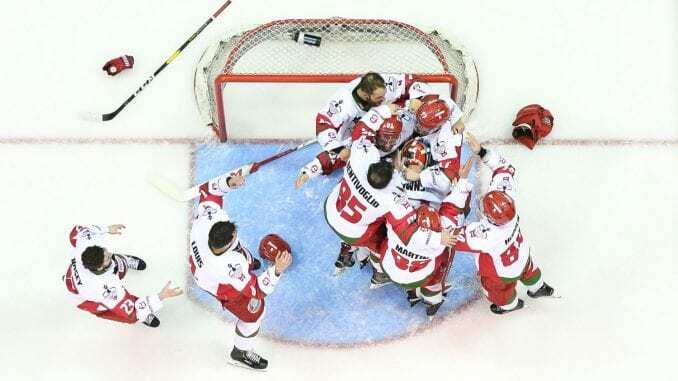 Gleason Fournier’s exquisite finish with over seven minutes to go captured a second straight play-off title for Cardiff Devils, but ended Belfast Giants’ hopes of a Grand Slam. 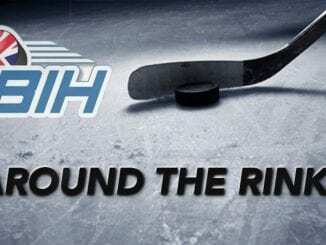 It was a final everyone wanted as the league’s top two teams came head to head for the final honour of the season and it was the Devils, denied on regulation wins to the league title, who got their revenge and their hands on the trophy again. 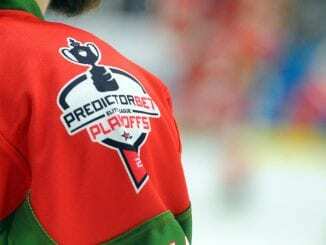 The early stages showed promise of a drama-filled 2017 finale where Cardiff were undone in double overtime by Sheffield Steelers on that occasion as both sets of players were keen to get the early marker. 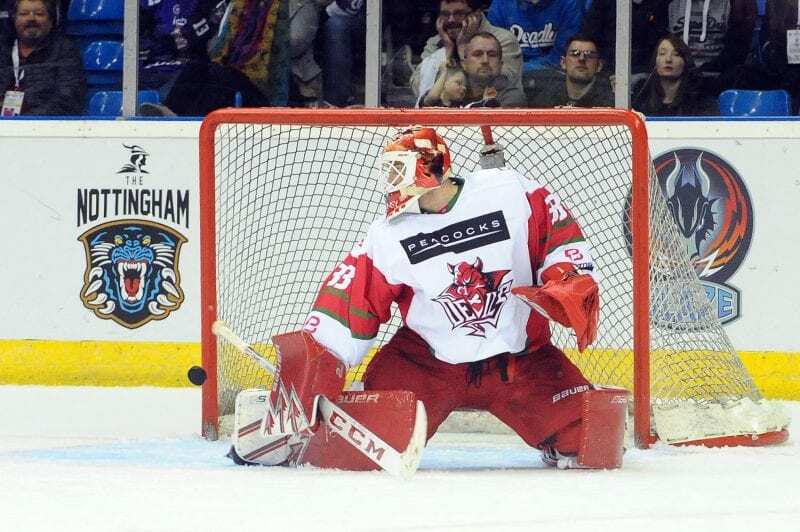 The contest had been going at a fast pace and was on the verge of settling down when a big hit from Drew Schiestel on Darcy Murphy at the blue line saw the Giants lose their high-scoring forward and the Cardiff man escaping punishment. If anything else comes of it will have to wait, but Belfast’s coach Adam Keefe fury on the bench was somewhat understandable. Nevertheless the game continued and it was the Devils who were ahead by the end of the first as Mike Hedden slammed a low shot past Tyler Beskorowany to open the scoring. Giants had a good opportunity in the second when Colin Shields, in his final club game before retirement cracked a shot off the post and Cardiff got a big let off from that situation. Bowns was start to come into his own as a real difference maker and the biggest save came a couple of minutes from the end of the first when Pat Dwyer found Kyle Baun, who laid off for Jordan Smotherman in the face off circle, sending in a one-timer. From nowhere, the Devils goalie managed to move himself across the crease and pluck the puck out of the air and keep his goal unblemished. Even Smotherman couldn’t figure out how it didn’t in. 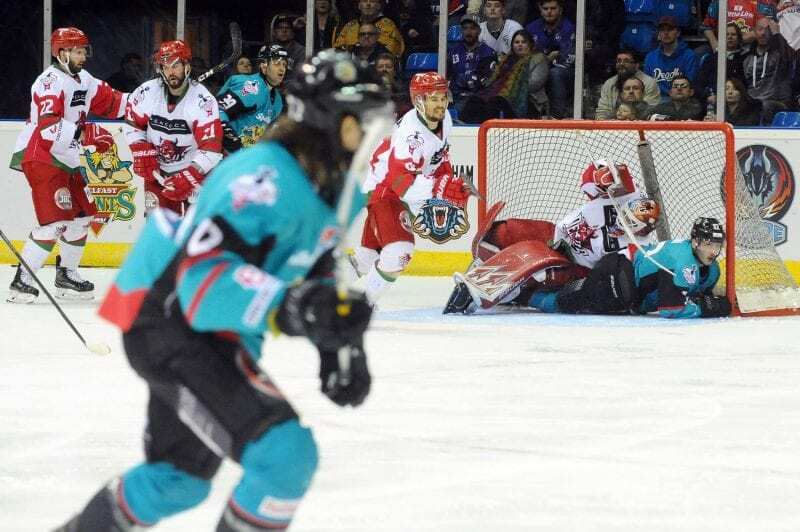 As the game moved into the third period, Belfast couldn’t find a way through despite their best efforts and just when you entertained the word ‘shutout’, the Giants finally got the goal they deserved. Kevin Raine picked up the puck just inside the blue line after Belfast had won the face off and he lasered a shot through the bodies in front, through Bowns and into the net. It was game on, but two and a half minutes later, Cardiff restored their lead and in doing so, ended Giants’ hopes of that Grand Slam. Fournier, from his own zone, burst forward and nudged the puck to Matt Pope on the right wing. Pope executed an inch perfect pass that landed on the Cardiff D-man’s stick. Fournier dragged it inside a placed into the net. Belfast could offer nothing in the final minutes other than a late save from Bowns to deny Smotherman again, but the dream of a perfect season had died. Cardiff were the play-off winners and after the season they had, perhaps deserved something for their efforts in what has been an otherwise excellent campaign from them.